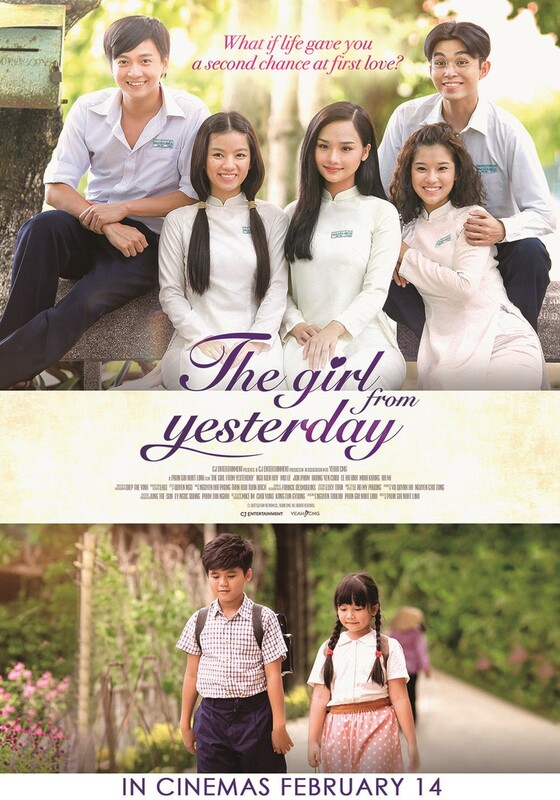 Rafaella Films International brings us Vietnam’s top-grossing romantic film Co Gai Den Tu Hom Qua or The Girl from Yesterday. The company acquired the hit romantic film for Philippine release. To give you an idea, The Girl from Yesterday earned 5 billion Vietnamese Dong (Php112,156,000) in just 10 days since it was released in Vietnam, one of the biggest releases in 2017. The film is based on a classic novel of the same name by Nguyen Nhat Anh, a best-selling author in Ho Chi Minh City. It was published in 1990 and has sold more than 200,000 copies. It has been used as a material to teach Vietnamese at the Moscow State University since 2012. The film tells the story of Thu, a teenage boy who causes problems on a daily basis. One day, everything changed when he falls in love with a transfer student named Viet An. Sadly, every moment with her keeps reminding him of his memories with his first love, Tieu Li. The Girl from Yesterday is set to take us down memory lane and bring back memories from our high school lives. The film is as bright and goofy as young love should be. It will bring back the very first time we’ve fallen in love for someone in our younger years. It is filled with relatable situations whether you were in school last year or 30 years ago.